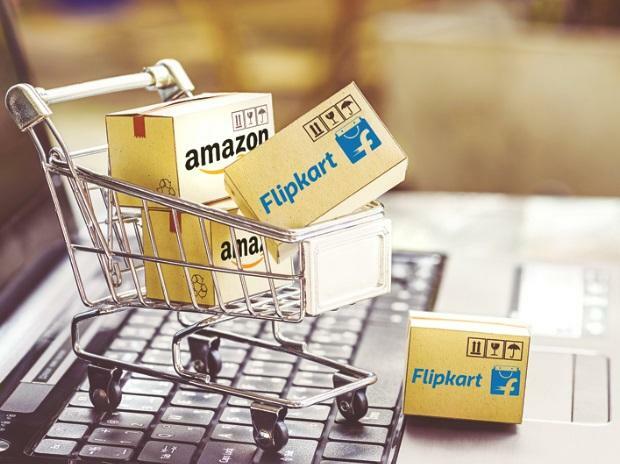 Key sellers linked to Flipkart and Amazon India are in the process of re-organising their owner structures to comply with the new e-commerce rules for foreign-owned companies that kicked in to effect on February 1. Amazon’s affiliate Cloudtail is reportedly back on the platform after a rejig. According to a report in The Economic Times, the majority investor in Cloudtail’s parent company — Catamaran Ventures — has increased its stake in the joint venture to 76% from 51%, reducing Amazon Asia’s stake to 24% from 49% earlier. According to company laws, firm 'A' is said to be a group company of firm ‘B’ only when firm ‘B’ holds 26% or more voting rights in firm ‘A’. Prione Business Services, the entity behind Cloudtail, did not file certificates notifying change in ownership with the registrar of companies, till press time. However, in a statement, Catamaran Advisors chief executive officer Abishek Laxminarayan said: “Catamaran has always been 100% compliant with every law of our country, India… On February 6, 2019, Catamaran has effected the required changes to be 100% compliant with PN2. We regret the inconvenience caused to our suppliers and customers due to the stoppage of the operations of Cloudtail India Private Limited between February 1, 2019 and February 6, 2019. An email sent to Catamaran asking for more clarity on compliance was not immediately answered. "Amazon and Flipkart may off-load their stakes in key sellers to friendly private equity partners. This is one of the routes they are taking," said Satish Meena, an e-commerce analyst at Forrester Research. With new rules for foreign-owned e-commerce companies announced on December 26, the government has disallowed sellers, that have equity participation from the e-commerce platform or their subsidiaries, from selling on the platforms. "E-commerce companies have been put in a hard place. They (Amazon India and Flipkart) had no choice but to divest their securities in Catamaran," said Pratibha Jain, partner at law firm Nishith Desai Associates. Other e-commerce companies could also take a similar route, she added. However, there are fears e-commerce companies may still be able to exert influence on prices and squeeze out the small seller. The Confederation of All India Traders, a domestic body that has been opposing foreign business in India, said it go to the Centre against Amazon's move to offload stake in Cloudtail. "CAIT would move to Commerce Ministry with a demand to clarify that online retailers should not hold direct, as well as indirect stake, in its vendors. The intention of the policy is being tried to be defeated by Amazon through jugglery of the language of which such global e-Commerce players are masters," said Praveen Khandelwal, Secretary General at CAIT. He also said the body could consider legal recourse. Small traders have been up in arms against e-commerce giants like Amazon and Flipkart for a while now, asking for a level playing field against these firms who they say can invest more and offer deep discounts to attract more customers.